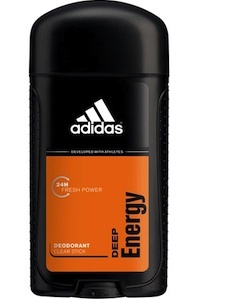 On Checkout 51’s list this week (Sept 12-18, 2013) is adidas Deodorant, any adidas Deodorant. Adidas deodorant is the perfect cool-down after a workout training session! For a COOLING SENSATION and benefits such as 48h anti-perspirant, Cool & Dry technology with freshness bullets, Anti-odor, Anti-whitening, 0% alcohol – pH respect – Dermo-tested, Easy to grab and spray, Developed with athletes. You will get $1.00 cashback rebate at Checkout 51. Here’s a pic of what it looks like. I found a couple prices of it at a few stores. Find adidas Deodorant in any drugstore, Shoppers drugmart, Rexall and more. I didn’t find any adidas Deodorant coupons to use.